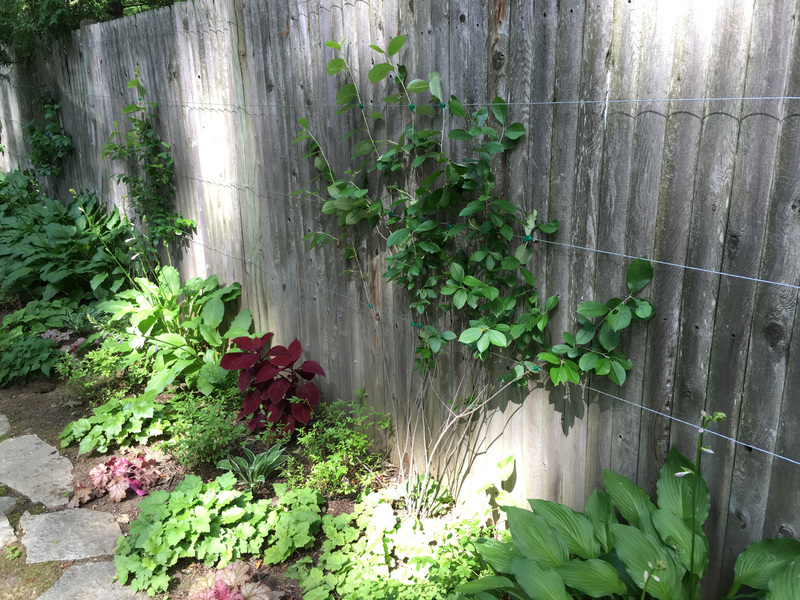 This narrow space needed to be balanced with a wider path and the increased width also provides more space for energetic kids to pass through without disturbing plants. 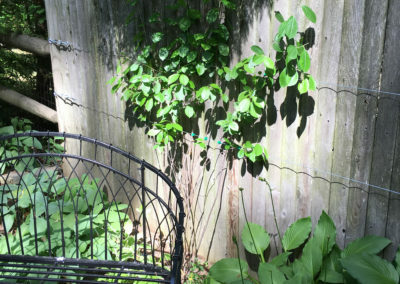 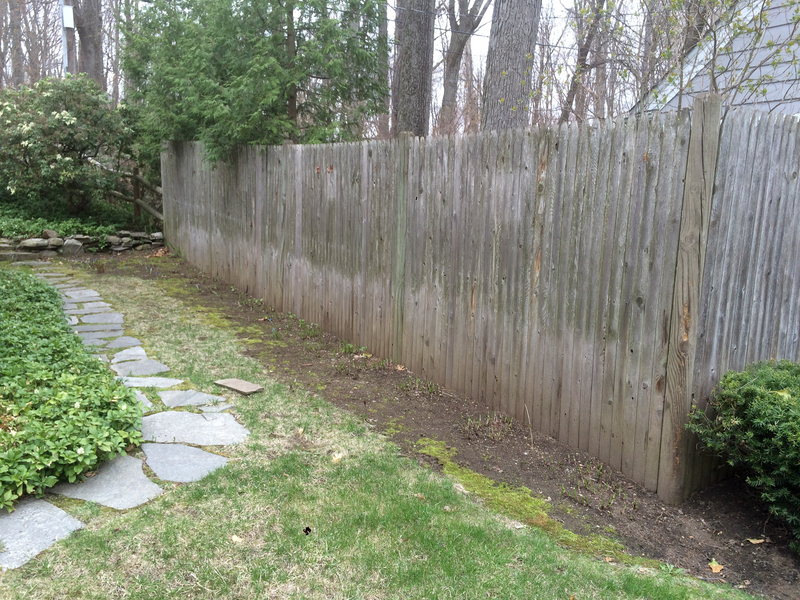 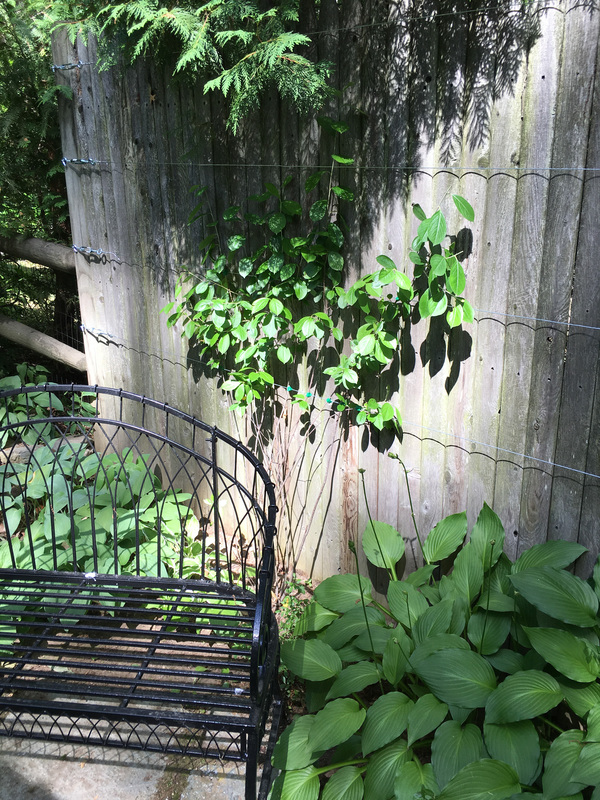 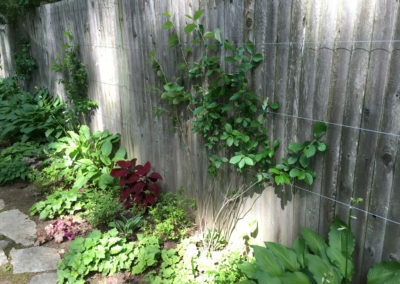 The fence provides a structure for chokeberries to be espaliered when they’re a little taller. 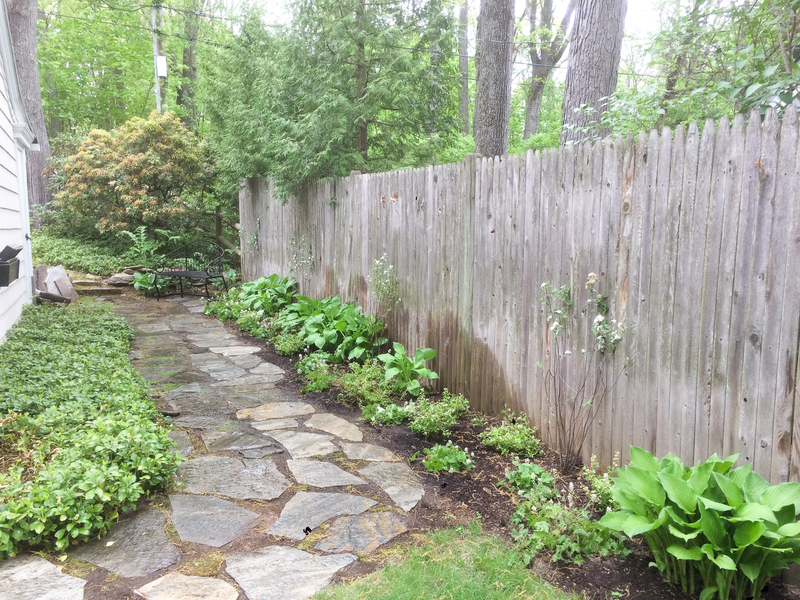 The groundcover is Tiarella “Happy Trails” and lowbush blueberries. 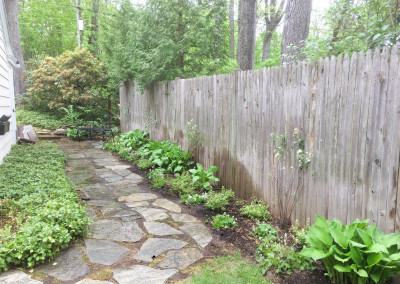 Hostas will be transplanted to other parts of the garden after the new perennials have a chance to fill out the space.